This elegant bracelet is part of Thomas Sabo's Love Bridge collection. 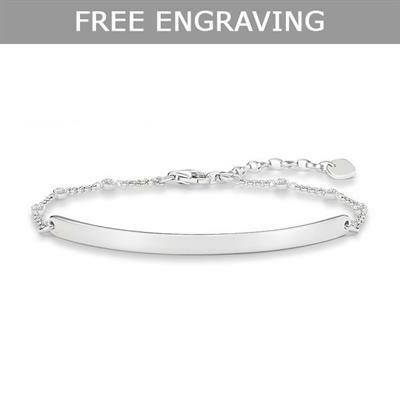 The classic chain of this bracelet is made from 925 Sterling Silver with sparkling White Cubic Zirconia accents. With its engravable love bridge bar, this Love Bridge bracelet is the perfect romantic gift to cherish.